Whether you’re aiming to get placed in a multinational company or want to show off your potential in academics, your learning skills can bring a difference. That’s why it’s essential to learn how to supercharge your learning skills as a whole. Here’s your guide for taking the bull by the horns with 5 secret tips that will help you improve your learning. Let’s delve in! Some students believe in studying beforehand their class because doing so gives them an idea of what will be taught in the class as well as helps them better understand their lecture. This tip really works. Hence, start training yourself for the lecture to better understand the things and immediately resolve your queries about the topic (if any!). Taking notes during class can help students in a big way. It is suggested that listen to your lecturers carefully and take notes of all the important points mentioned during class. By jotting down the notes at the time of class, you can get rid from the hassle of reading the whole concept. Moreover, during exams, you can leaf through all the major points in a jiffy and improve your learning. 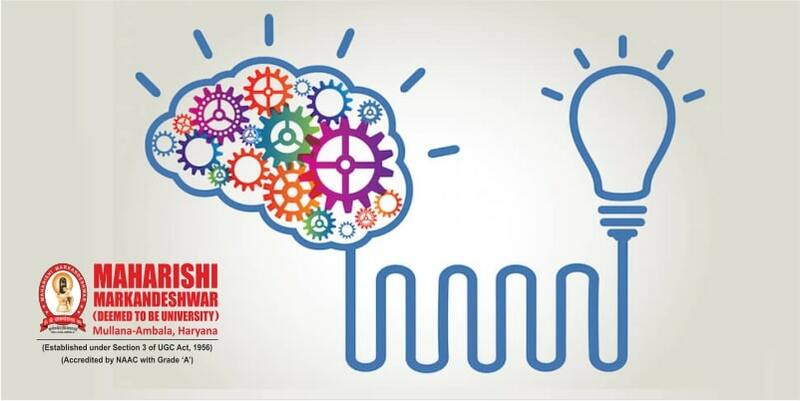 Clearing doubts and queries is one of the best and fastest ways to improve your learning skills. If you are stuck in some doubts regarding any topic, then note them down and ask your peers or faculties to clarify them. It is said that a doubtful mind can’t fetch complete knowledge that is being provided instead, turn you confused. Consequently, to make the grade, make sure that all your doubts are cleared and your queries are replied correctly. An attentive is mind is what is needed to improve your learning and make the whole process most effective. If you are caught in some complex task, your attentiveness will improve your efficiency and help you give your best shot even in harder situations. Simply put your thinking caps on and decide what you want to study and at what time. Preparing and following a schedule is often not given much importance by students. But in reality, this is exactly the best way to make your learning effective. Moreover, it helps you learn time management. For instance, if you’re on a clock to finish a task, you seem to strive hard in order to make it in one stroke. Planning a schedule and setting time limits can help you beat the clock and complete your tasks with ease. So there you have it! It’s time to improve your learning. The process of learning is the everlasting process. No matter you are 5 or 50, there is always something that can be learned, be it from books or real life situations. You never know when and where the information you learned might come in effect. So go on, try the aforementioned tips and take your learning experience to the next level. writing like yours nowadays. I seriously appreciate! Just what I was seeking for, appreciate it for posting. I like the helpful information you provide to your articles. I am slightly certain I’ll learn a lot of new stuff right here! I am very happy to peer your post. Thanks a lot and I’m looking ahead to contact you. Will you kindly drop me an e-mail? 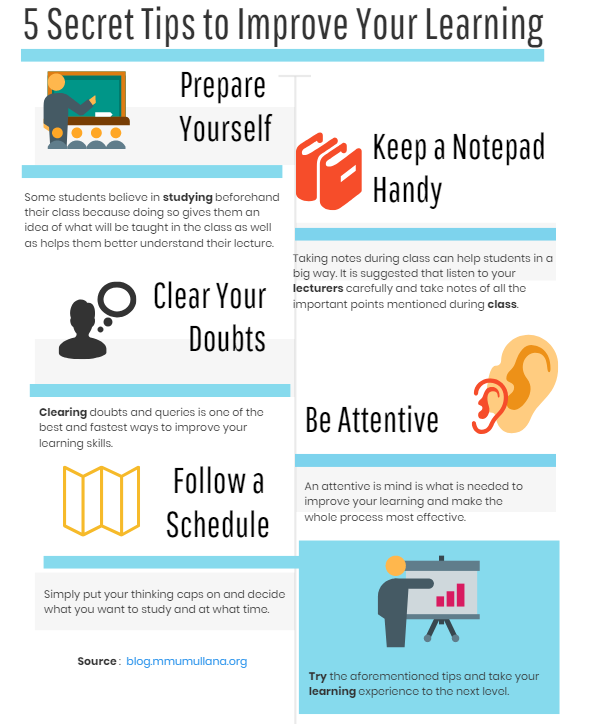 5 Secret Tips too Improve Your Learning < Loved it! I really like what you guys are usually up too. This kind of clever work and reporting! Keep up the superb works guys. I have read a few good stuff here. Every stuff is quality based. just wanted to say, I loved this blog post. It was practical. Hi! I simply wish to offer you a big thumbs up for the excellent info you have here on this post. I’ll be coming back to your site for more soon. Thanks for the auspicious writeup. It in truth used to be an amusement account it.